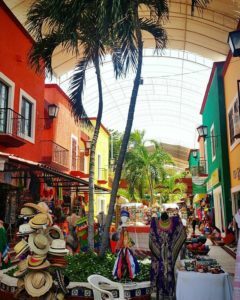 What to do when it rains in Cancun? Here are some options for you to enjoy, when it rains in Cancun. 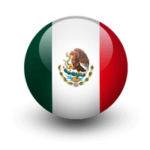 When it rains in Cancun, it rains in sections, check the neighboring cities as they might be dry and sunny. Mercado 28 is an ideal market to buy souvenirs, crafts, jewelry, clothing and fabrics. 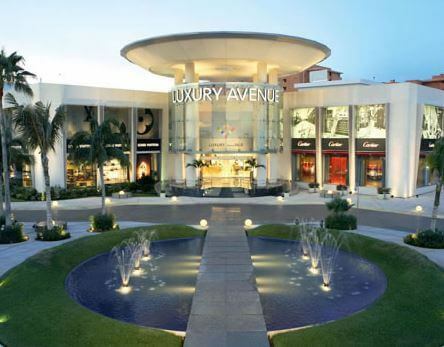 It is located in the urban area of ​​the city of Cancún, 2 kilometers from the Boulevard Kukulkan and 1 kilometer from the Parque de las Palapas. 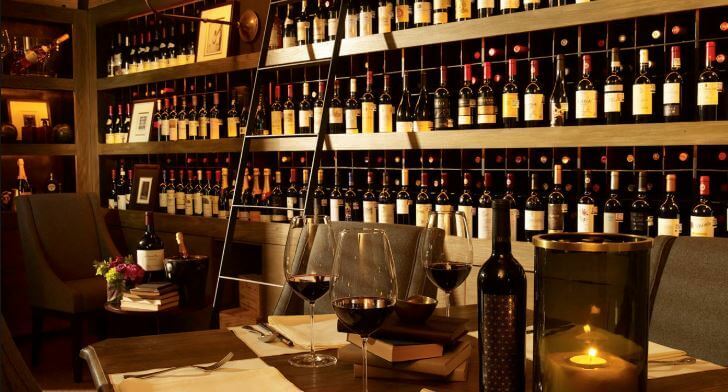 In the area of ​​Mercado 28 there is also a variety of restaurants, specializing in seafood. 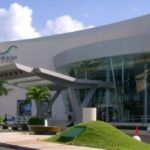 The Mayan Museum is located in the Cancun Hotel Zone. Infront of Omni Resort. Next to the museum, there is an archaeological site, called San Miguelito, which stretches over 85,000 square meters. 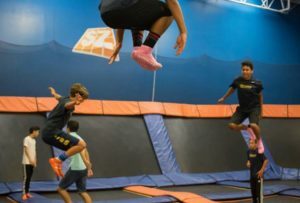 Children under 13 and adults over 60 years old receive free admission. On Sunday, admission is free to locals with IFE ID. Opening Hours: Tuesday to Sunday from 9 a.m. to 5:30 p.m., Closed on Mondays. If you don’t mind the rain, you can enjoy the many outdoor activities the park offers. 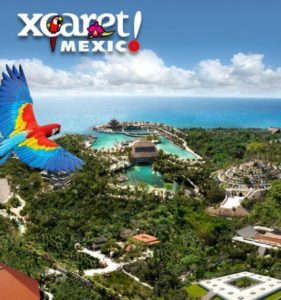 If you prefer to stay dry, then you can always visit Xcaret’s other attractions such as the Aviary, Hacienda Henequenera, Rotating Scenic Tower, and the Caves to the Mayan Village. 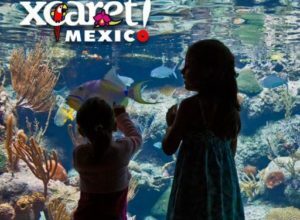 1.- Swimming in the underground rivers of Xcaret is an experience you can’t miss either with rain or bright sunshine; you’ll be in the water anyway so enjoy. 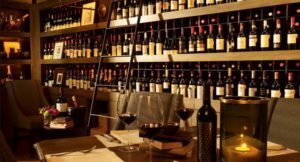 2.- Under the surface of the Main Square you will find the Mexican wine storage room, to savor with all your senses the marriage between gastronomy and perfect drink and learn the interesting history of wine in Mexico, whose quality is recognized internationally. 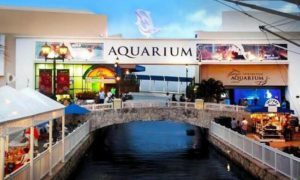 3.- The Coral Reef Aquarium is one of a kind. As it contains salt water, it takes you to the depths of the sea to be delighted with more than 5,000 organizations in a marine habitat of colorful gardens, without getting wet. 4.-Discover in the Main Square a singular Silver Mine keeping a fun subterranean labyrinth. Walk back up to the surface to a Mexican bookstore and visit a small room that shows films of the Golden Age of Mexican cinema. The Plaza also offers an extensive gift shop and live music at dusk. 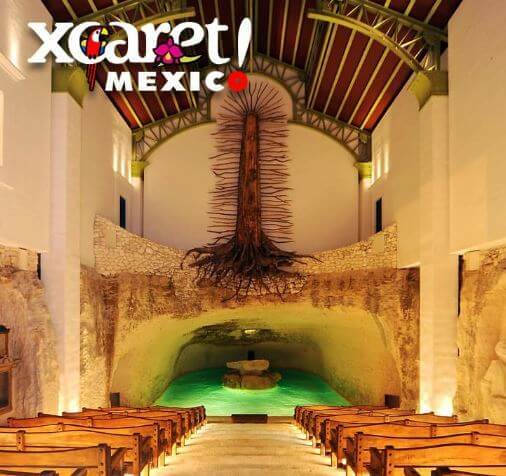 5.- The Chapel of the Virgin of Guadalupe, sculpted in rock and with a stunning image of the Virgen Morena carved on a tree trunk, is the perfect place to immerse yourself in peace. 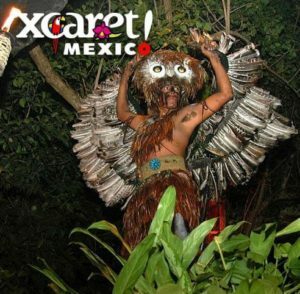 6.- In the Caves of Xcaret you will find a beautifully lit underground world that will guide the Mayan Village, through a place full of windows to the crystal clear waters, owl men and other surprises. 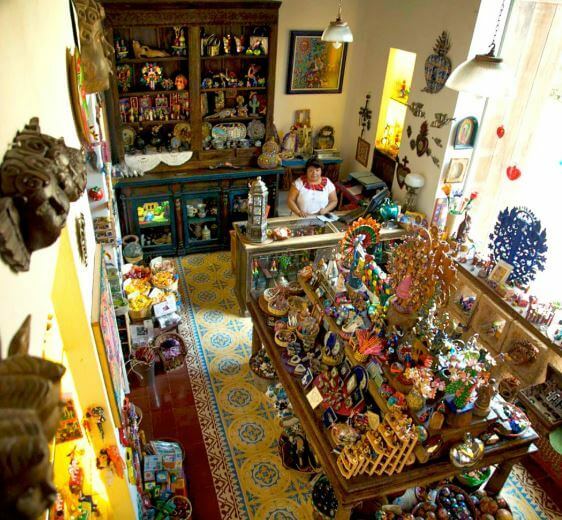 7.- See a real Yucatecan “Hacienda Henequenera” from the nineteenth century. Amaze yourself with an incredible exhibition of ingenious artisan expressions that show the richness and uniqueness of Mexican Folk Art. 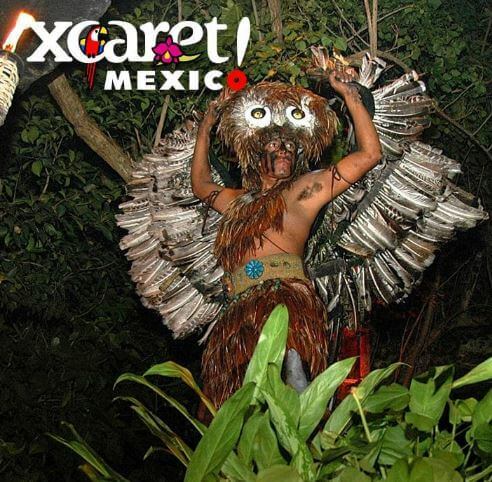 8.- Live mysticism, traditions, legends and history in a wonderful tour through the Mexico of yesterday and today. 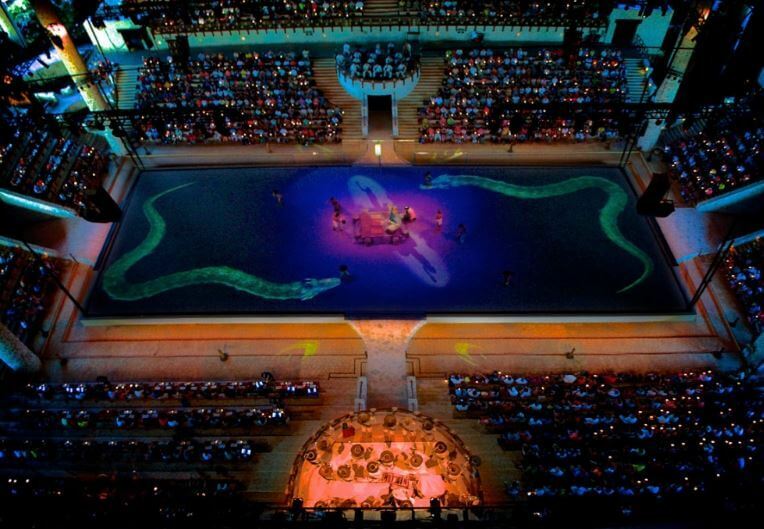 Feel Mexico under your skin in the presentation “Xcaret Mexico Espectacular” which will make you quiver, rain or shine. 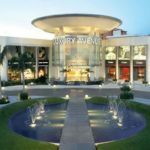 Most of the shopping mall has open space but you will find many places to visit like Cancun Wax Museum, Interactive Aquarium, or enjoy a movie at Cinemex La Isla Cancún. 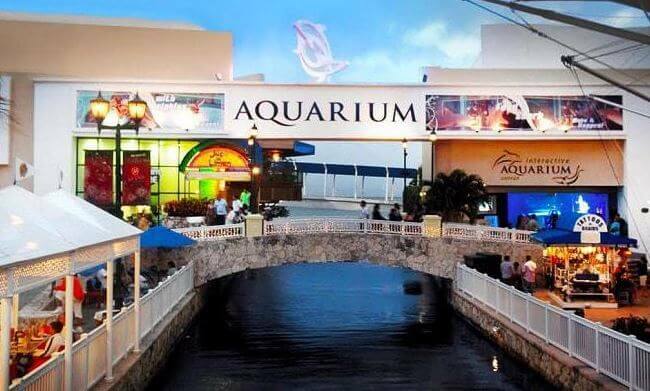 Houses over 1,195 underwater species and offers various attractions for you and your family. 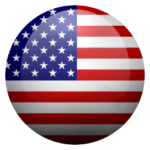 Here you will find a wide variety of clothing stores, jewelry, souvenir shops, and restaurants to choose from. If you are looking for a place where you can have fun, exercise, or simply jump with your family Sky Zone is a perfect place for you! This is one experience you can enjoy rain or shine. 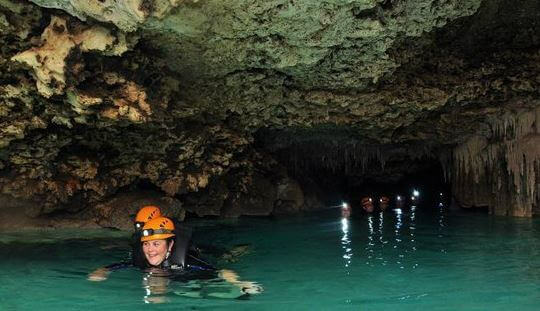 Explore the beautiful cave and underground rives hidden in the Riviera Maya. Looking to try your luck? Cancun has a couple of Casinos you can choose from. Cinepolis VIP movie theater at Plaza Las Americas. 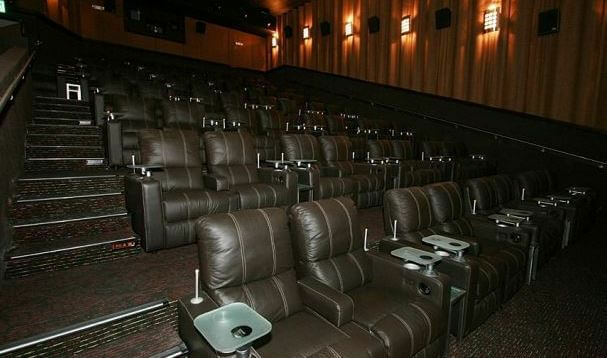 Enjoy Dinner and a movie. 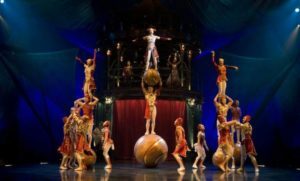 The JOYÀ: Cirque du Soleil show is available on Tuesdays, Wednesdays, Thursdays, Fridays and Saturdays. 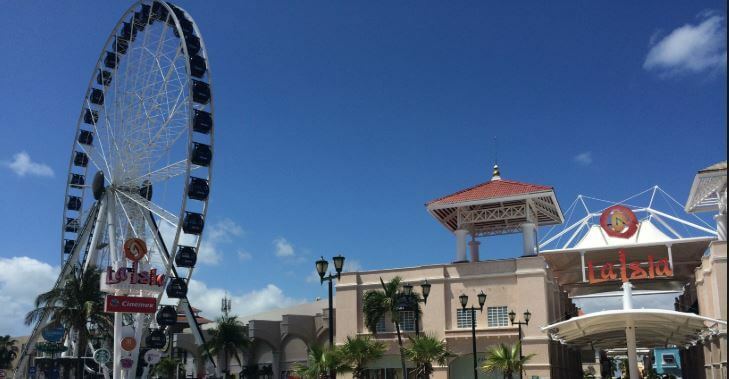 The bus departs from Plaza La Isla Shopping Village located at Km 12.5 Blvd. Kukulcan, Hotel Zone in Cancun. The bus stop is in front of the Lacoste store. 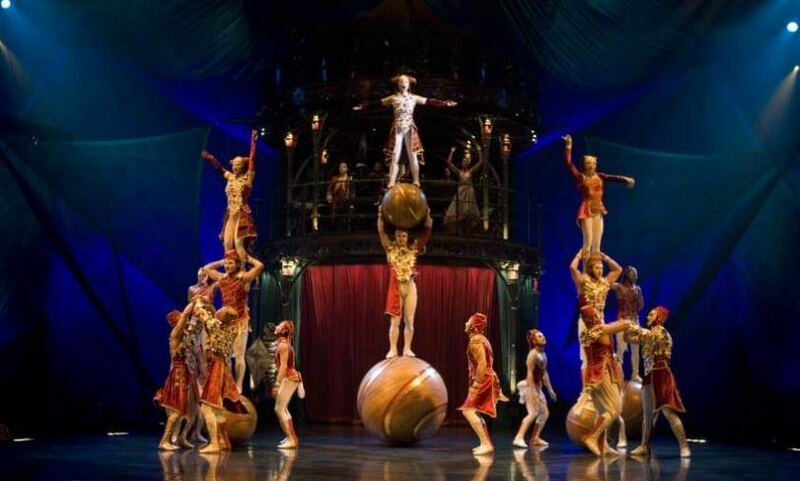 The dinner and show times available are as follows: Dinner 6:00 p.m. and show 7:00 p.m.
Dinner 8:00 p.m. and show 9:00 p.m.
Dinner 9:15 p.m. and show 10:15 p.m. 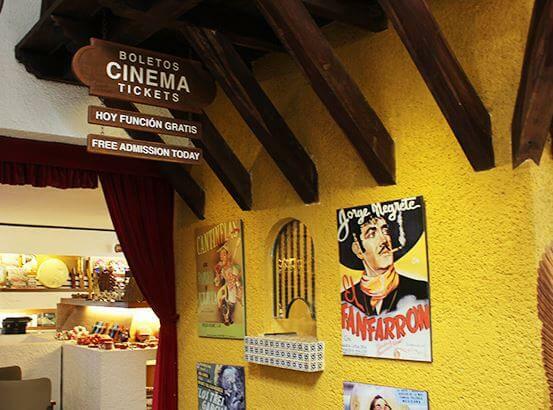 When you arrive, you can watch a movie about one 3D street artist and how he began. On the second floor you will take off your shoes to enter the area. 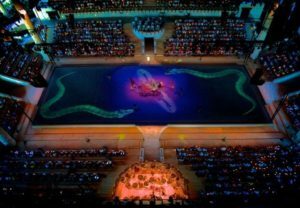 This is done to protect the art that has been printed and applied to the floors and walls. If you do not have socks, some will be loaned to you. A guide will take you around the museum and show you all the best angles to take photos. 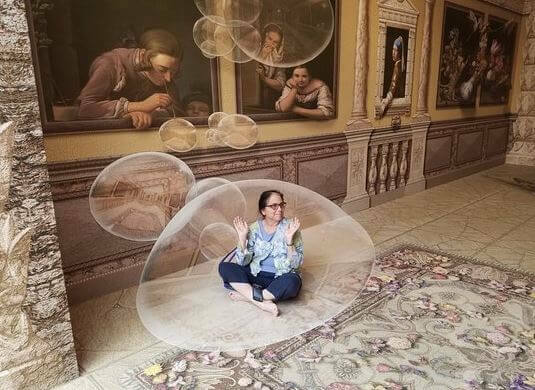 There are about 50 different works of art to have fun with. Expect to spend about 1-2 hours in the museum. Make sure to charge your camera. Come with friends so you can have fun taking pictures together. 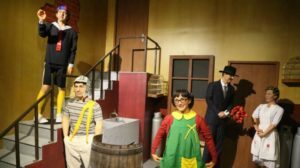 The 3D Museum is in Plaza Pelicanos which is on 10th Avenue between 8th Street and 10th Street. The entrance to the museum is on the north side of the plaza facing the parking lot and 10th Street. Parking: There is free two-hour parking in the lot next to the museum. The entrance is off 10th Avenue between 8th Street and 10th Street. Children 5-12 years old are $25 USD. 50% discount for Quintana Roo residents on Sundays with ID. 50% discount for students and elderly with id, this promotion is available daily.